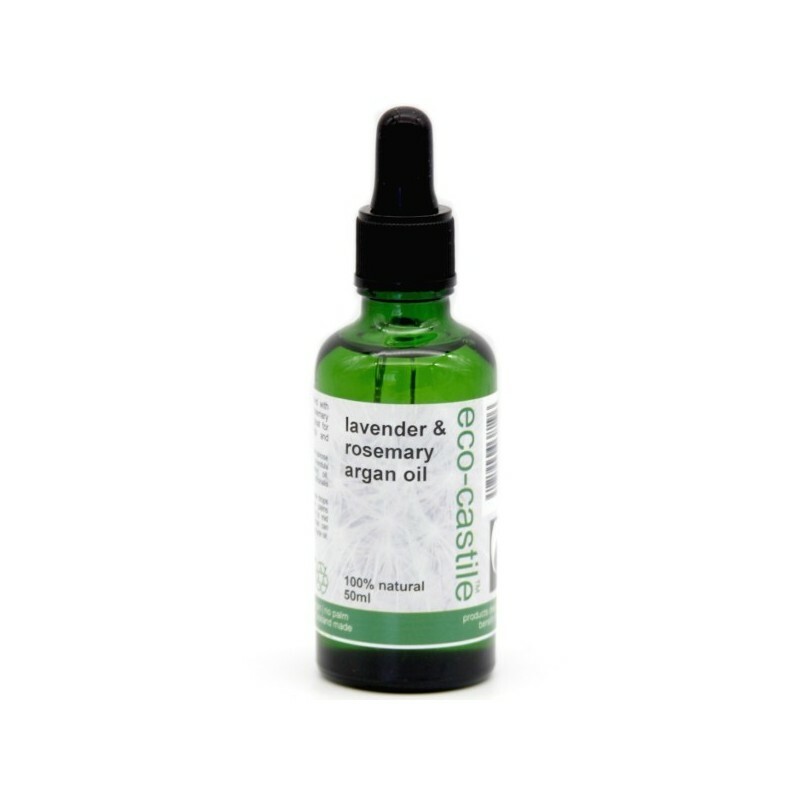 A vegan and palm oil free skin and hair oil enriched with lavender and rosemary. This all-over oil is made with argan oil for its essential fatty acids, antioxidants, vitamins and minerals promoting overall health by moisturizing, softening and protecting your skin and hair. 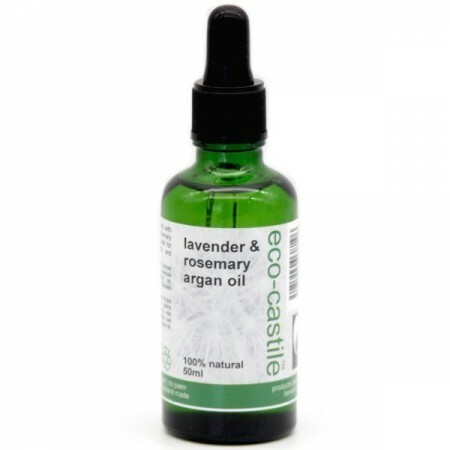 With added lavender and rosemary essential oils for antiseptic and healing properties. 50ml. Suitable for hair, face and body. Rich in vitamins, especially Vitamin A and Vitamin E.
For hair: Warm a few drops in the palms of your hands and run through mid-length to ends of hair. For skin: Use on its own as a moisturiser, or as a serum by allowing oil to absorb then applying your night cream. Lavender has antibacterial and antiseptic properites, helping heal and clean skin gently but thoroughly. Rosemary essential oil has anti-oxidant, antiseptic and circulation-boosting properties, making it great for treating both skin and hair damage. Argan oil, lavender essential oil, rosemary essential oil. 50ml. Green glass dropper bottle. Browse our other oils and serums.